Commissioner Gayle Jacobson was appointed to the Commission by Senate President Don Gaetz. She has been active in politics since moving to Florida upon her husband’s retirement in 1991. Gayle served two terms on the Mid Bay Bridge Authority, by appointment of Governor Jeb Bush. She has served as President of the Florida Women’s Political Network, as well as on boards of other state and local organizations. Since moving to Niceville, Gayle has volunteered in the community. She was employed by McCrory Building Co. as administrative assistant to the project manager during construction of Silver Sands Condominiums. But most rewarding was that spent as first volunteer, then employee of the Emerald Coast Children’s Advocacy Center. The CAC’s across the state and country help abused children get the help they need. 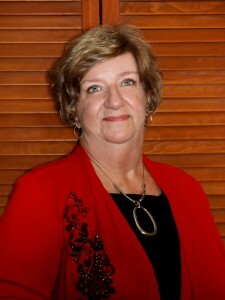 Gayle was raised in Abilene, Texas, and attended Evangel College in Springfield, Missouri. She has lived in several states and briefly overseas.